Franschoek is together with Stellenbosch the wine region to-go in South Africa. First of all, you should take the route through Paarl to Franschoek, and go back via Stellenbosch, or the other way round. Like this, you'll see all the beautiful spots one should've seen and equally important, you'll cover all the food and wine spots one should've tried. The first stop on the way to Franschoek through Paarl is Babylonstoren. It’s a beautiful wine estate that seems to be mostly self-sufficient regarding vegetables, meat and other food products. Once you enter the estate you’ll receive a little map where everything that you need to know about the place is explained. You can either stay here for a night, in one of their wonderful rooms that all have a beautiful and modern design, or you just pass by for lunch, coffee or dinner. I think we were a bit late with booking or wanted to be spontaneous (what, me?!) which is why both Babel and the Bakery were full and we decided to go for a light lunch at the Greenhouse. Food is served in a greenhouse in the back of the estate and there’s also some outside seating at colourful wooden tables under the trees. We shared a delicious pot pie with a garden salad on the side and it truly was a garden salad - colourful flowers, dark green and light green leaves, served with a simple but very delicious dressing – and a ham and cheese sandwich with mango chutney, which doesn’t sound that exciting but was very delicious, especially because the ciabatta was home baked. And because life is boring without sweets, we ordered scones (still warm, soft inside, crispy outside) with clotted cream, homemade jam and butter and along with that a delicious cappuccino. Just next to it is a little, very nicely kept garden, with many herbs that each have a little sign, what things you can cure with them. If you continue walking around at the estate there’s plenty of animals, plants and trees to see. I was very happy about the gigantic turtle we met on our way to the little shop there. They sell plenty of different things, aprons, cutlery, dishware, olive oil, preserves, jams and other great products, all not too cheap but very pretty looking. 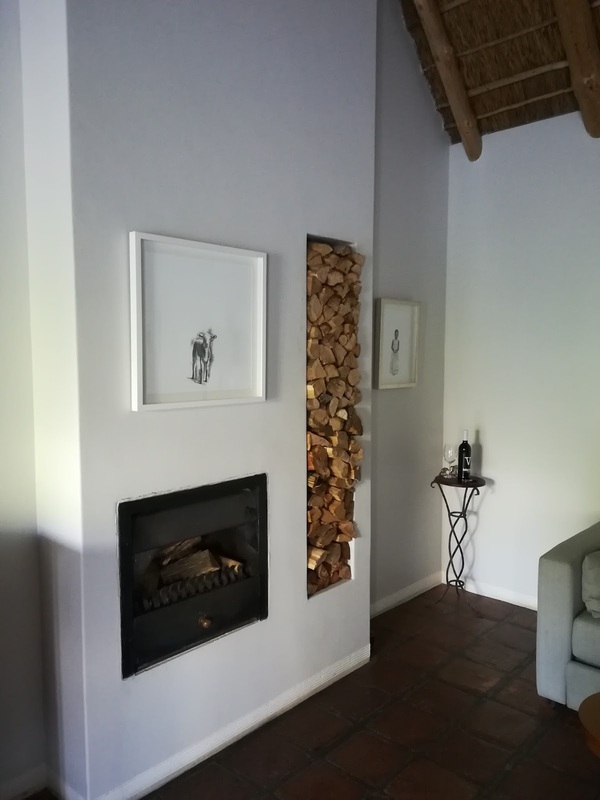 Good to know: Address: Klapmuts Simondium Road, Simondium, 7670; Website: babylonstoren.com; Book far in advance for Babel, Bakery and for rooms. Reservations at Greenhouse are not possible, you can just walk in. When leaving Babylonstoren you'll be passing through Paarl and enjoy some beautiful views on mountains and also, the route is well known for being home to many vineyards and wine estates and also to some little gourmet gems, selling preserves, jams, cheese and all the good stuff you’d like to take back home. I don't have the exact addresses, but the places have big signs in front, so it's hard to miss them. Franschoek is the next station. A small town made up of almost only wine estates, with two main streets and a rail track running through the town, where the famous wine tour takes place. 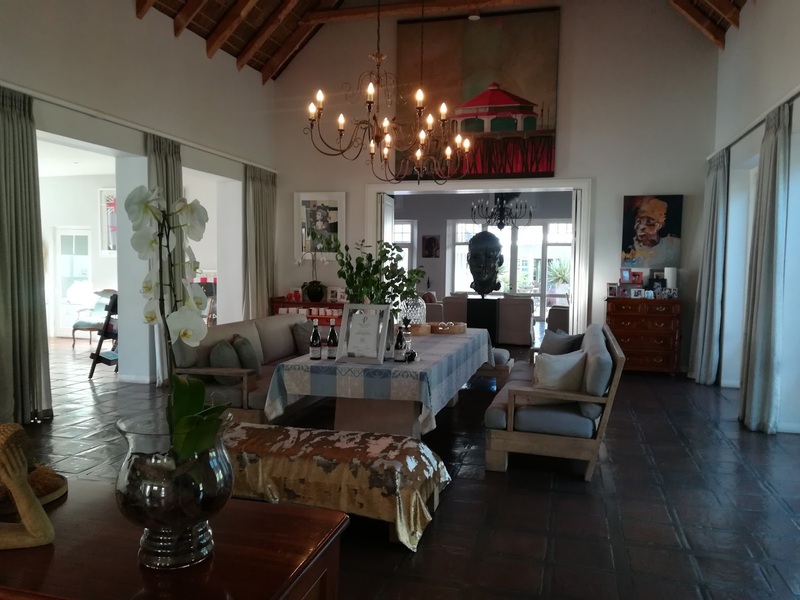 We didn’t book this one though, as it seemed that only the big and more commercial estates were included and we had some other destinations on our list where we wanted to do a wine tasting. 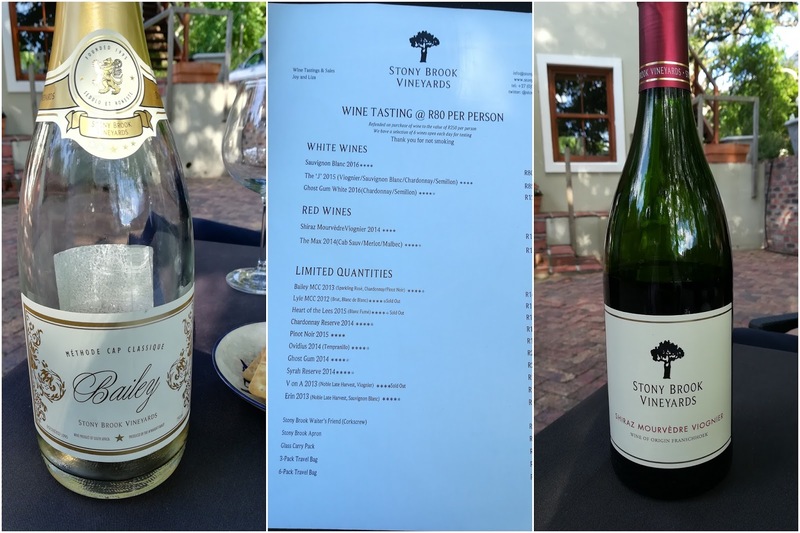 In general, wine tastings range from 80-200 Rand (6-12€) and include around 6 different wines: white, red and sparkling, for you to try. Make sure you organise yourself a driver as the wine can go to your head pretty fast under the hot South African sun (I tell ya!). 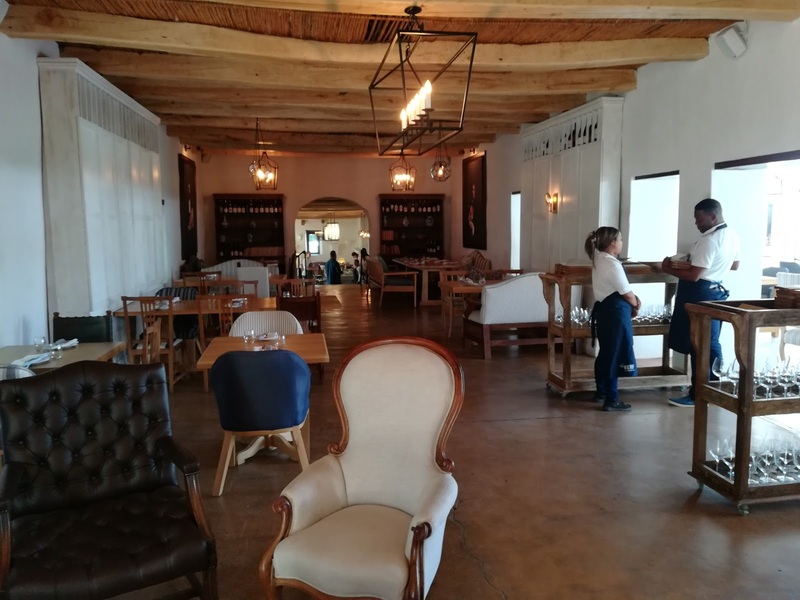 Môreson: After a nice lunch (read more below), we headed over to the wine tasting to try the pinotage among others. The setting is nice an intimate and the very friendly people take their time to explain the wines and to make your tasting a nice experience. A little hidden gem that was recommended to us by one of Johan’s friends. Run by an older couple and a very lovely lady who has worked at stony brooks for several years now as sommelier. This place is run very informal, not too fancy but being a very nice experience. Everyone loved to talk, mainly about wine and tell us everything we wanted to know about the place and history. Their wines are great, so we couldn’t resist from bringing four of them back home. I booked fairly in advance and nevertheless it was hard to book the same hotel for two nights in a row, so we changed location after one night and I can recommend both of the places. A mid-sized wine estate with a breathtaking view on the mountains and vineyards that glow in a bright green. The place itself is a typically looking white building from the outside, the inside is very special. A big entrance leading to a living room and a little pond, a pool and around four rooms. There is a lot of artwork in this place; big sculptures in and outside the house, big colorful paintings in the breakfast area and the rooms and a lot of attention to detail. The rooms are quite big, equipped with a fireplace and a newly renovated bathroom. 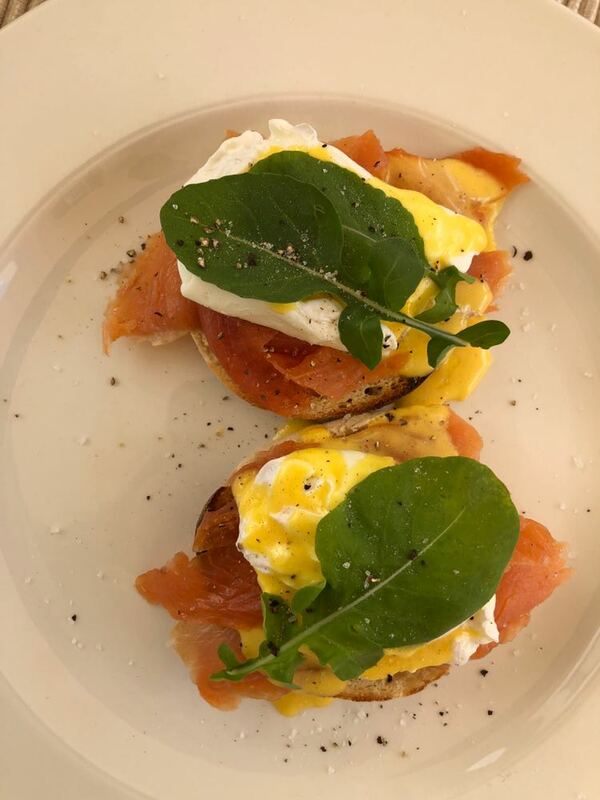 The breakfast was very nice and the people friendly, the wine from their vineyard I didn’t like too much and the restaurant was a bit disappointing: nothing extraordinary and a bit overpriced. But I would definitely recommend staying here. There’s a big outside area, perfect for a slow start into the day or a relaxed afternoon read. 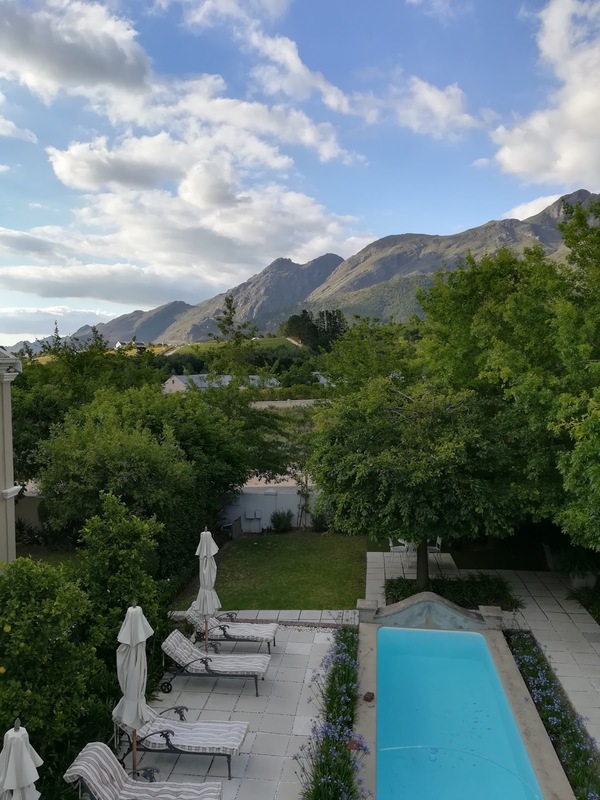 The hotel is a 7 minute drive away from the center of Franschoek. Less ‘overwhelming’ than Holden Manz, but only a 10 minute walk to the center and more familiar I’d say. There’s also a pool and a nice view and the owner as well as people working here are very helpful in helping you organizing things. The rooms are fairly small, but still spacious enough for a 1-2 day stay. There’s a common are upstairs and downstairs, but that’s about it concerning attractions the house has to offer. A simple place to stay, but a nice and comfortable one. One of my favourite restaurants from the whole stay in South Africa. There’s a big smoker in front of the restaurant, so you’ll know what you’ll be getting! The chef Chris Erasmus seems to be more than just a cool guy, engaging in talks with customers while preparing his amazing dishes. A true forager, Chris looks for fresh and new ingredients on a daily basis. We had 3 starters because I wanted to try everything and all of them were special and delicious. I won't say much, but just read our starters: 1. BBQ Glen Oaks pork terrine, pear chutney, crackling, carrot puree, roosterkoek (omg) 2. Smoked cheesecake, spiced tomato vinaigrette, sunflower, garden shoot salad (omg, omg) 3. Sugar-cured yellowtail tartar, herb stems, sorrel, persimmon atjar & horseradish "egg", which was a yellow cream in a transparent membrane, looking like an egg yolk (omg, omg, omg). The last starter was by far the most amazing starter I've ever eaten, mixing so many great textures, tastes and colours that more perfection is barely possible. 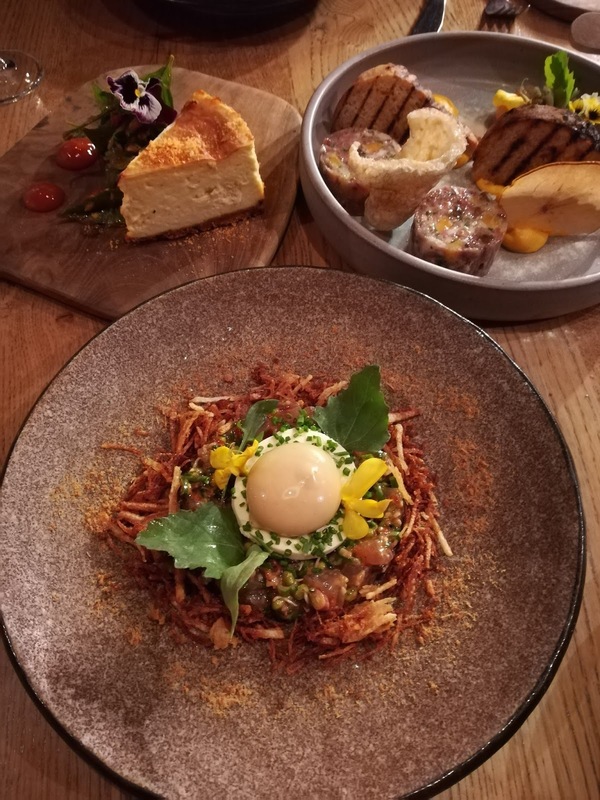 The main dishes continued that amazing experience and I went for the BBQ whey-braised beef brisket, wild watercress pomme puree, porcini, wild herb potato nest. 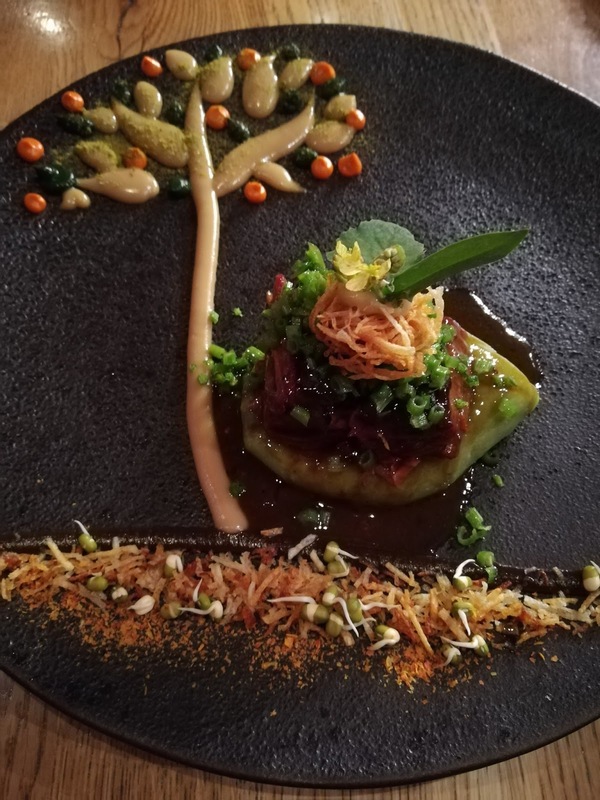 Next to looking like a piece of art, this brisket was so incredibly tender and again, a mix of different spices and textures made this dish one that I would order any over and over again. To be honest, I have no idea what Johan had, I think fish, but this just shows how busy I was with grasping the amazingness of my dish. Unfortunately there wasn't anymore space for dessert in my belly. Oh and I forgot to mention the homemade bread that came with some lard and butter in the beginning of the whole dinner - delicious! The restaurant is also mentioned in the World's 50 Best Restaurant list, so a reason more to try. 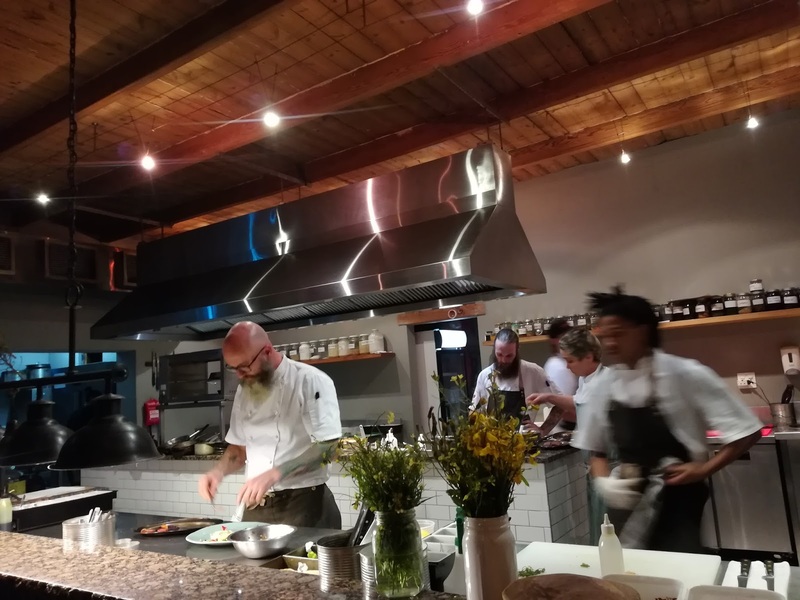 Staff here is very friendly, attentive and fast and the interior is not to extravagant, with a lot of wood and some nice little details, such as the crosbows hanging below the counter of the open kitchen. This restaurant belongs to the Moreson vineyard and it was good, but I'm a bit undecided whether I would go back. The bread in the beginning with homemade butter and lard was absolutely delicious, home baked in the restaurant, fresh and still warm, straight from the oven. The first course, more bread with their homemade charcuterie and a dish of ravioli was very good. The second course sounded nice on the menu: beef wrapped in cabbage, served with red cabbage and some other nice ingredients, but when I tried it it wasn't really tender and a bit hard to chew, same was the case for Johan's main, a springbok. 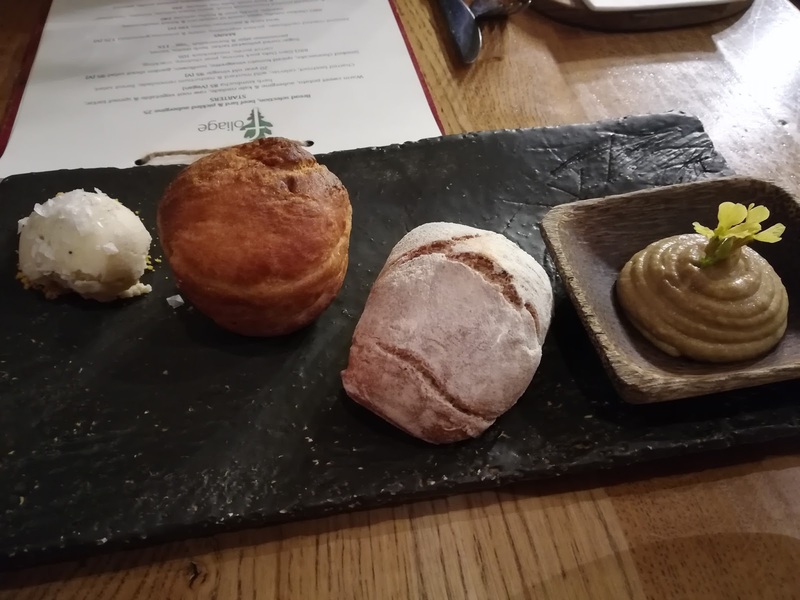 The dessert on the other hand, nectarines with spiced bread, granita and roasted almond flakes and the other one was strawberries with cream and meringue, were also very delicious. Wine was great, too, service very nice and we were sitting outside in the shade in a very lovely spot, so this was definitely a plus, too. Maybe the cook had a bad day, so you should go and try yourself. Price: Around 25€ for a three course lunch. Have a picnic: We didn't book one in advance so we couldn't have one, but it looked gorgeous. People sitting on the grass or lying in hammocks, with a large woven basket that probably has nothing but delicacies in it and great wine from the estate. This lunch was very spontaneous. Johan was somewhere looking at some animals, so I used the opportunity and glimpsed at their menu: brisket, smoked chicken, ribs and a big smoker in front of the restaurant. My choice was made, Johan fell in love with this whole place immediately as well, so we decided to stay and let go of our other lunch plans. The waiters and waitresses were extremely friendly and so was the chef, who is of Dutch origin, with whom I had a small chat, too. We had Chokka squid spaghetti with fennel and goat cheese and yellowfin tuna with pickled turnips, frozen kefir and a marmite broth as a starter, hot smoked chicken served with a poached duck egg yolk, grilled artichokes and organic maize porridge as well as 16-hours sous vide lamb leg, roasted lamb rib, spring & broad beans as main and chocolate air, carob ice-cream with marshmallow & pears, as well as an ice cream sandwich as dessert. It was the best decision to stay here for lunch. The interior is very wood dominated, with some light details, nicely patterned tiles and different lamps. And make sure to go to the bathroom. 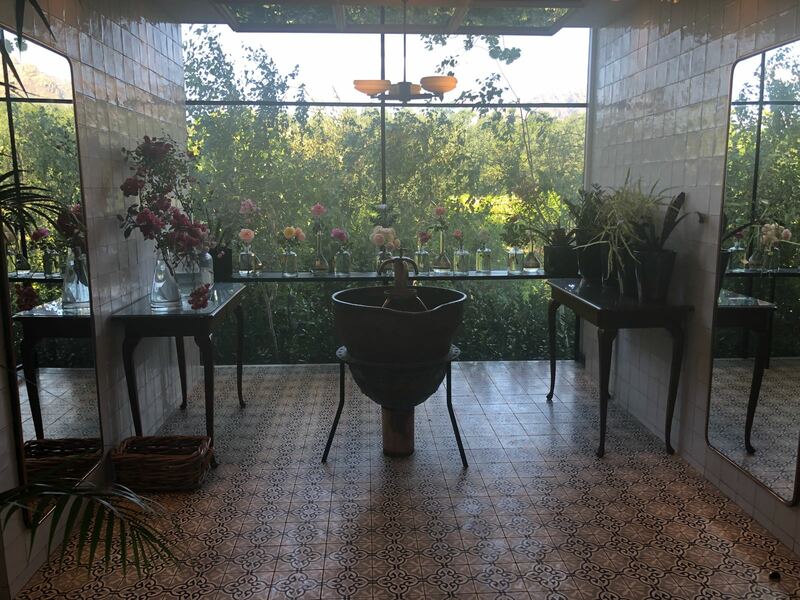 It is one of the prettiest I've ever seen, decorated with fresh, colourful flowers from their garden, beautiful tiles and a large vintage sink. Have a walk in their vegetable garden: Behind the The Werf restaurant, there is a very nicely and neatly kept garden with beautiful, colouful flowers, vegetables and fruits of all shapes and colours. 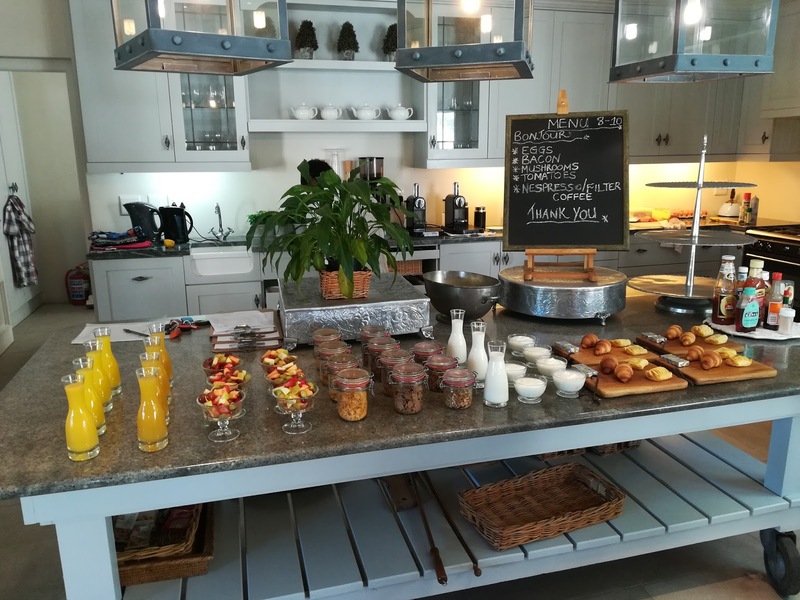 Take a look at their animals: There are chicken running around on the estate, gnus, different kinds of birds and other animals that you can look at while taking a break between lunch and coffee. 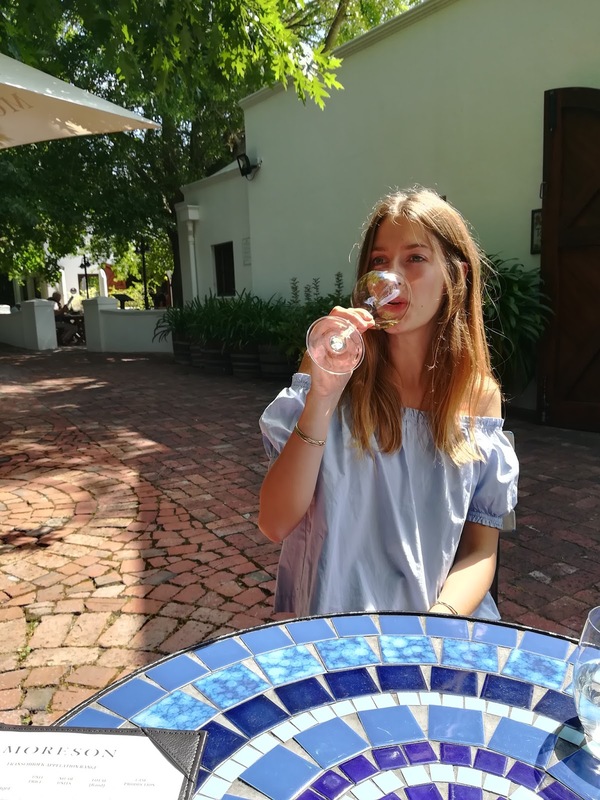 Do a wine tasting: Boschendal offers various wine tastings that you can book in advance or do on a more spontaneous note, for that just visit the beautiful building next to the cafe. 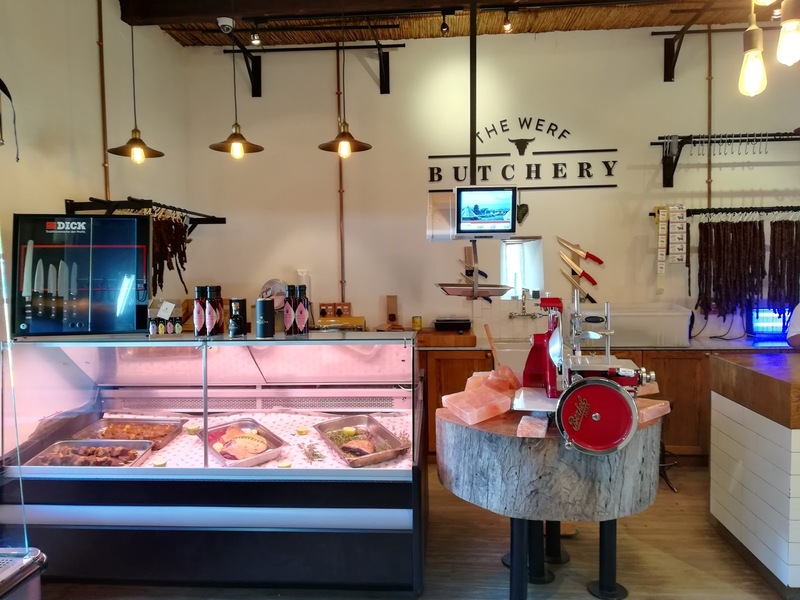 Go to the butcher or the shop: There is a little shops with various things like dishware and preserves and a butcher with fresh meat and different biltong and dried sausages, we bought a bit of both and it was very tasty! 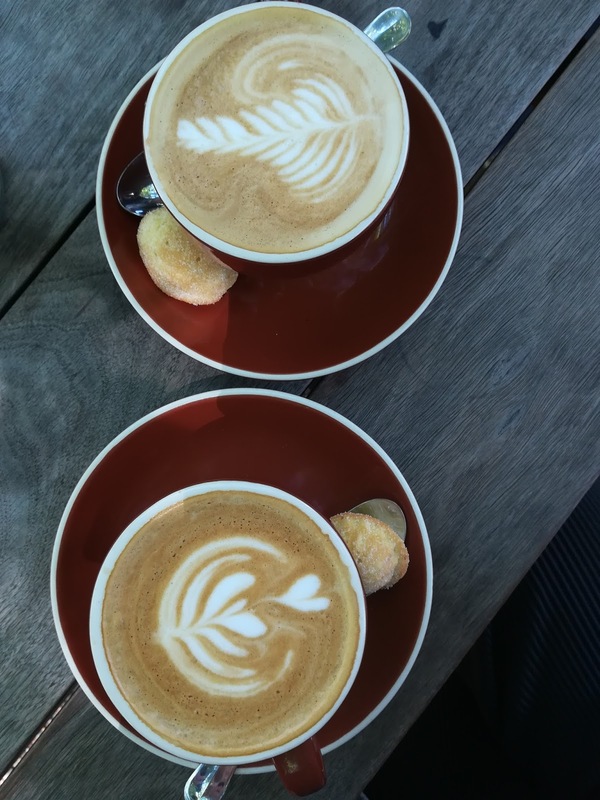 Have coffee and some cake at their bakery: If you're not ready for lunch yet or just finished lunch, head over to their cafe. 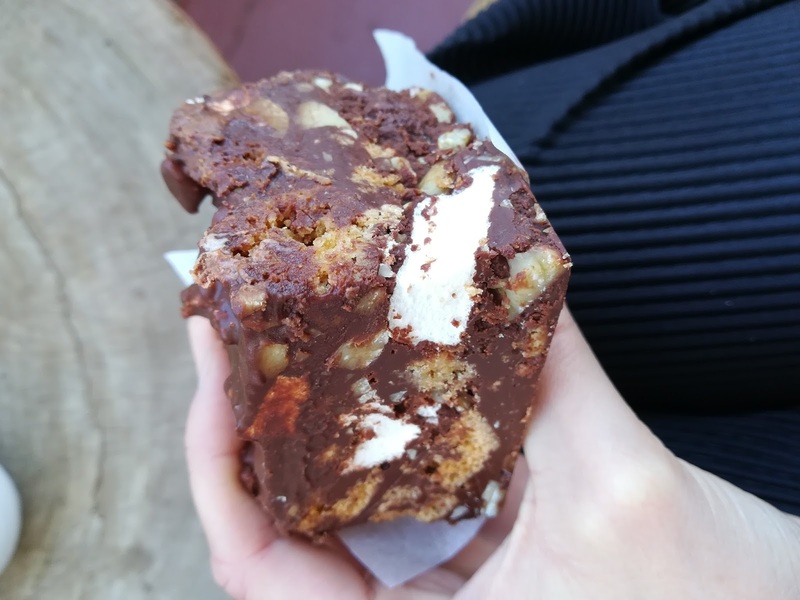 The coffee is great, people are very friendly and there's not only amazing cakes, like carrot cake or big brownie squares with fat chunks of nuts and marshmallow in it, but also smaller salads, pies or sandwiches. Get married: Maybe this requires slightly more planning than a picnic, but I've seen photos of weddings taking place here and they looked absolutely stunning and very beautiful. When going back from Franschoek, you can pass by Stellenbosch. No, you should pass by Stellenbosch. 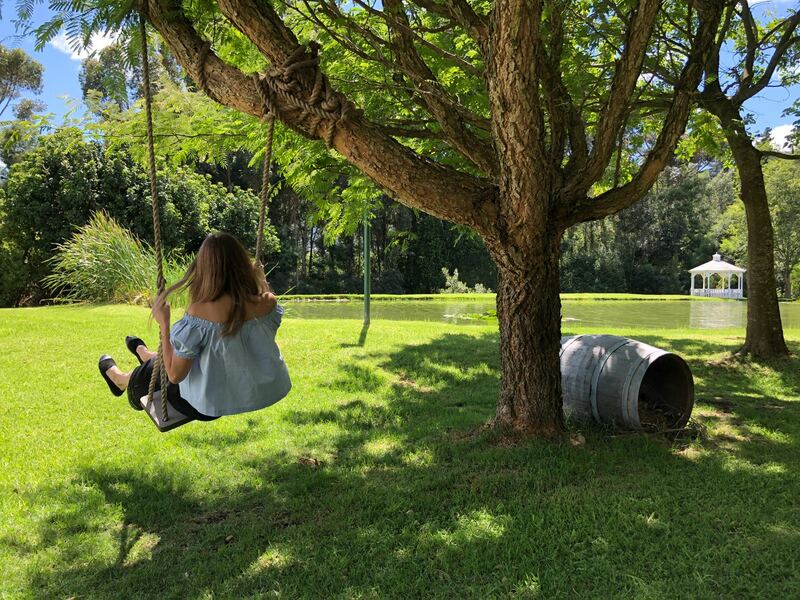 It's one of the oldest cities with beautiful Victorian Houses and hosts the well-known University as well as some more wine estates, restaurants and nice cafes. 1. Have a look at the university. 3. ...end with a light lunch at the Postcard Cafe.